Hi everyone! My name is Lois. I love handmade items! I love to crochet and knit which my mother taught me how to do when I was a young girl. I also quilt many things and make soap. I like to keep busy with a variety of hand crafts. NeenausPlace doesn't have any items in their booth! Lois is fantastic. She makes beautiful items AND she is a great booth promoter. She has it all ! ?? ?? ???? Lois has some of the most loveliest original handmade items ever from scarves to crochet top kitchen towels to candles to soaps. I highly recommend you to check out her booth for great gifting ideas. Neenausplace is one place you won’t regret stopping by. 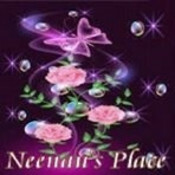 I have known Neenaus Place for years now. You will have to go along way to fined a better person. She does what she says she will. A purchase from Lois will be a pleasant experience. Her hand made Items are the best..
Lois is a Great Seller & Buyer, Highly Recommend…..One OF The Many Best Here On Bonanza!!!!!!!!! Check Out This Booth NOW!!! Lovely buyer and seller, honest and very kind, shop with confidence from Lois! 1st class craftswomen. fair honest seller of the utmost integrity. Highly recommended. Lois has lovely handmade scarfs, encouraging crochet top kitchen towels and is a great contributor to Bonanza. Hope to do business again with her! I have been a friend of Lois for years. Wait till you see her candles. We work together alot and you will love her!